DAVID LE/Staff photo. 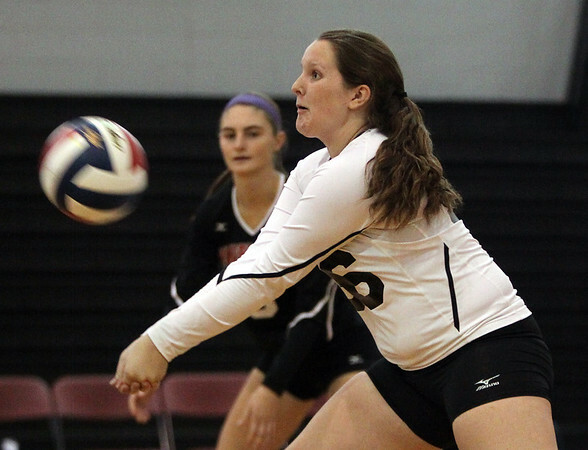 Marblehead sophomore libero Mandy Dumais returns a serve against Hamilton-Wenham on Friday afternoon. 10/2/15.